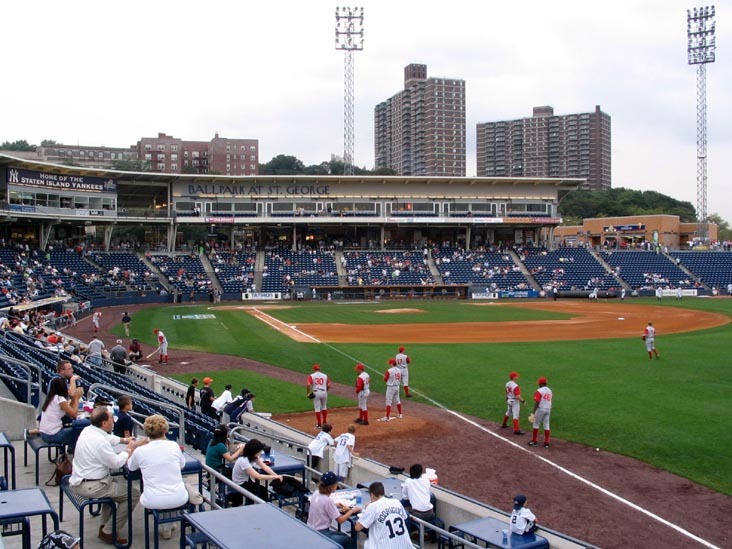 Today 5 of our classes, Cunningham, Caputo, Mac, Romano and Harvey are off to Richmond County Ballpark to See the Staten Island Yankees Take on the Oneonta Tigers. The Tigers are playing over 500 ball with 12 wins and 11 losses. But the Baby Bombers are also playing way over 500 ball with a 667 percentage ( based on 1000) of winning their games with a 14 win and 7 loss. So this should be a good game. Here is the Oneonta Tigers page on Wikipedia if you want to learn about that team a little. ~ by stufffromthelab on July 10, 2008.